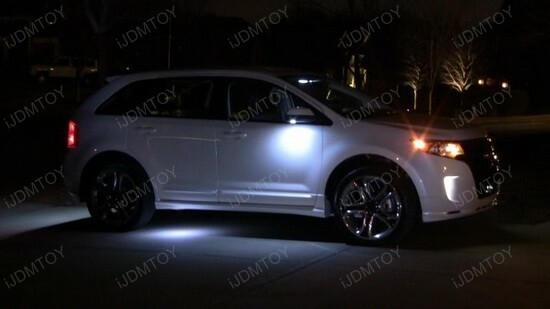 I love the Ford Edge’s cabin with the featured LED Parking Lights. It is more flamboyant than anything from Germany! Such combination of superb layout, luxury, safety and infotainment equipment is not to be seen everywhere. When you look at this beautiful vehicle at night, you’ll understand what I am talking about – the High Power LED Parking Lights are literally illuminating the entire area in front of the garage in low light conditions and make this Ford Edge look like a landing super-duper spaceship. Do you want to know how this incredibly powerful output is achieved? 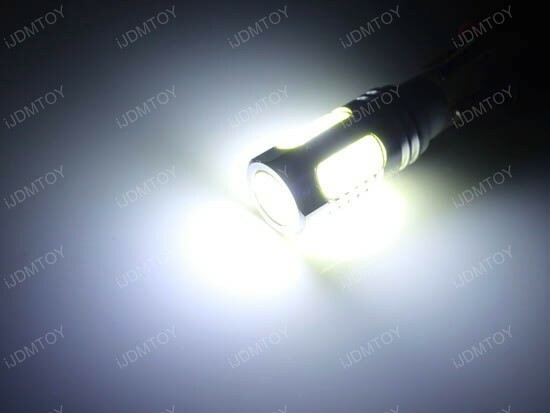 Well, thanks to the 7.5W Plasma High Power T10 LED bulb, that has a high power LED emitter on top and all around, the lighting output reaches about 500 lumens, which is enough to be noticed from very very far distance. Installation is a piece of cake – completely plug and play – just take out the stock bulb and plug in the new one. Check if all works like a charm. If a bulb doesn’t light up, flip it at 180 degrees and try again. That should do the trick. The 6000K Xenon White T10 LED bulb will work flawlessly in most vehicles and will replace the stock 168, 194, 2825, 912, 921, 904, 906 bulbs. If you have any doubts, drop a line to the support team of iJDMTOY to make sure everything will be fine. 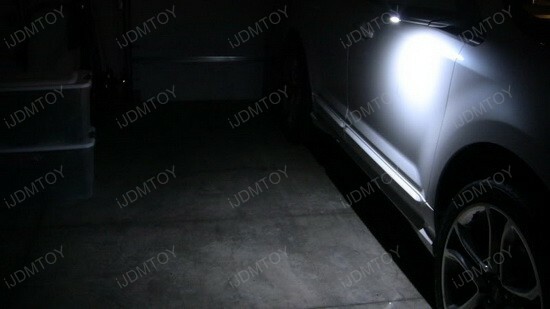 Anyway, once you obtain this high quality product in your hands, don’t waste any more time and replace your old stock parking lights with the flashy ones. 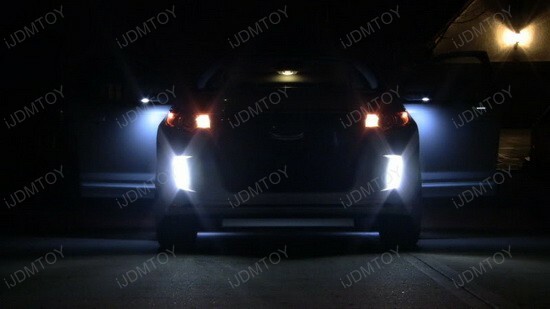 Take a good look at this Ford Edge and ask yourself why being too mainstream with the old yellowish parking lights, when you can achieve this eye-popping look with just a pair of LED Parking Lights? 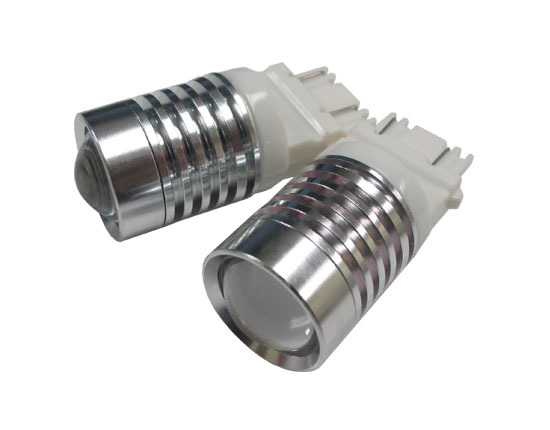 Bright and easy noticeable light means safety, and I will say these High Power LED Parking Lights are a very good choice if you want to spice up your car! The half-ton Chevy Silverado pickup with LED Switchback Turn Signal lights is just as adept at serving as the weekday family car as it is at transporting home-improvement supplies or towing a boat on the weekends. But with one difference – with the Switchback LED bulbs you can do all of the above in style! If you want to dress up your rumbling V8 ride like whoa, this is a great way to do it in just a few minutes right in your own garage. These lights will stay on in xenon white as daytime running lights when you are driving, and when the turn signal is activated, the lights will automatically switch from white to amber and start flashing. 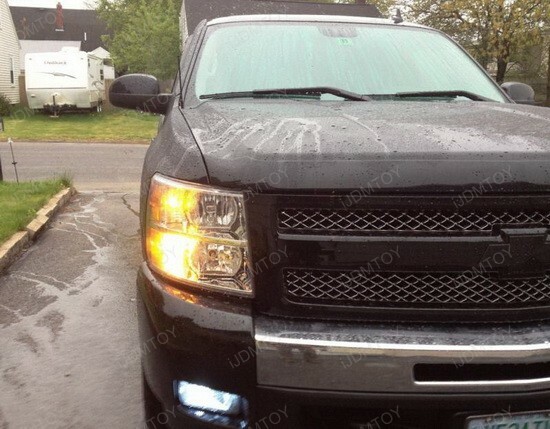 The featured high power 3157 switchback LED bulbs for front parking lights and turn signal lights emit a distinctive brightness, which perfectly matches the clear look of the headlights and contributes to the flashy look of this Chevy Silverado. Thanks to the magnified projectors in front of each bulb, the output is 2-3 times brighter than conventional LED. What’s more, with LED upgrade like this, the vehicle will be more noticeable in bad weather, which dramatically raises the safety bar for good. This product is designed to replace 3157, 3057, 3357, 3457 and 4157 double-filament bulbs in a quick and easy way – completely plug and play, just take out the old egg-looking bulb and put back the fancy new LED one. Please note that you might need to add a pair of load resistors to prevent hyper flashing or malfunction problem, but you can always contact iJDMTOY for more information about your vehicle. 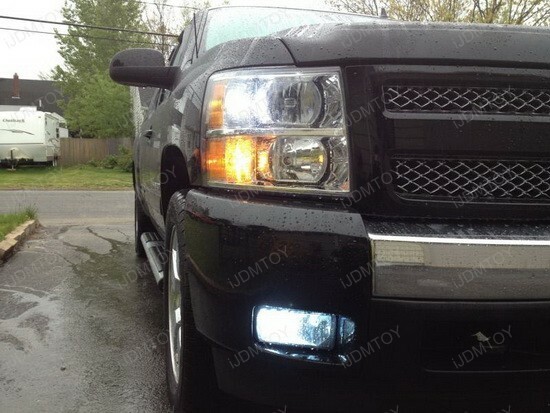 Whenever you drive a pickup like the featured Chevy Silverado or some other V8 American icon, these LED Switchback Turn Signal bulbs could be a great complement to HID lights. And at last, but not the least, you’ll dramatically change your car’s appearance for just a few well-spent dollars.